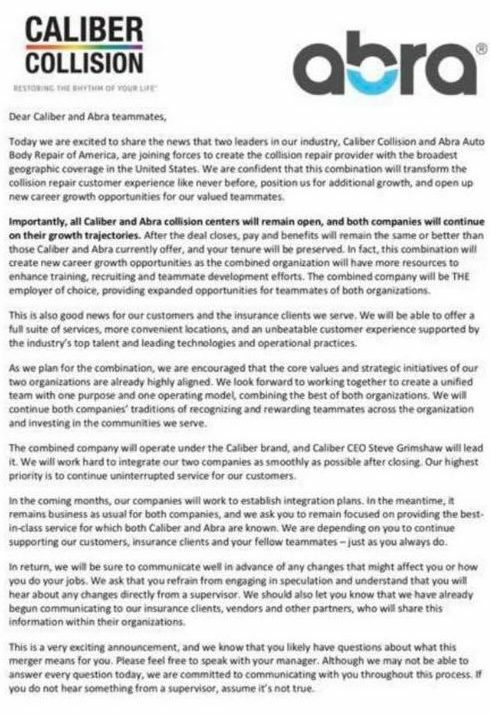 What appears to be an internal memo leaked Tuesday reports Caliber Collision and ABRA will combine to create what would be a more than 1,000-location collision chain. Neither Caliber nor ABRA responded to inquiries about the rumored merger early Tuesday evening. 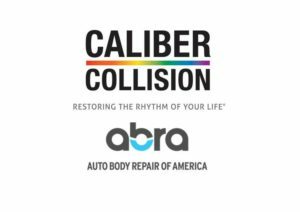 The memo comes from a source at another prominent entity in the collision repair ecosystem and is technically unconfirmed by ABRA and Caliber. However, employees from ABRA on Tuesday have posted on social media that they’ve been informed of the deal. Official word is likely to come Wednesday morning. 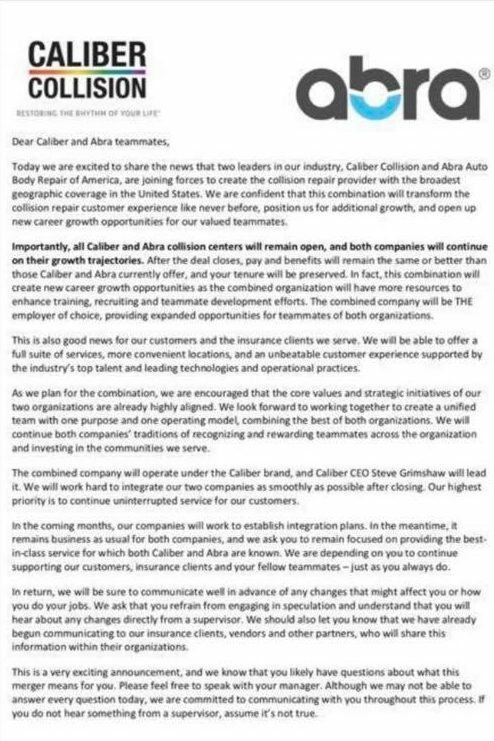 It also states that “all Caliber and Abra collision centers will remain open.” (Emphasis memo’s.) This is interesting in light of the ABRA and Caliber overlap in some markets. A 1,000-shop MSO — more than double the size of what appears to be the nearest competitor, Gerber — would be a fierce competitor for the entire industry. It could leverage its size to secure even better discounts from vendors, capitalize on economies of scale — and even command more favorable direct repair program terms from insurers. At the same time, the vast majority of the industry’s revenue still is housed in the thousands of other MSO and single-shop locations. The deal comes after a busy year for both companies. Both have added dozens of locations, with the bulk of ABRA’s new 2018 shops coming from the recent closing on the acquisition of 39-shop Cooks Collision in California. That acquisition would have been the deal of the year, had it not been dwarfed by this week’s news. ABRA reported it reached the 400-shop mark on Monday, with operations spanning 28 states. Caliber hit the 600-shop mark in August and has since exceeded that, with operations in at least 19 states. Caliber is owned by OMERS Private Equity and Leonard Green Partners, while ABRA is part of Hellman & Friedman’s portfolio. Its ownership following the merger is unknown. Combining ABRA and Caliber would be subject to federal regulatory approval. Despite the market still including plenty of large national competitors and thousands of smaller collision businesses, the Federal Trade Commission might frown on the merger if it gives the combined company too large a market share in certain areas.